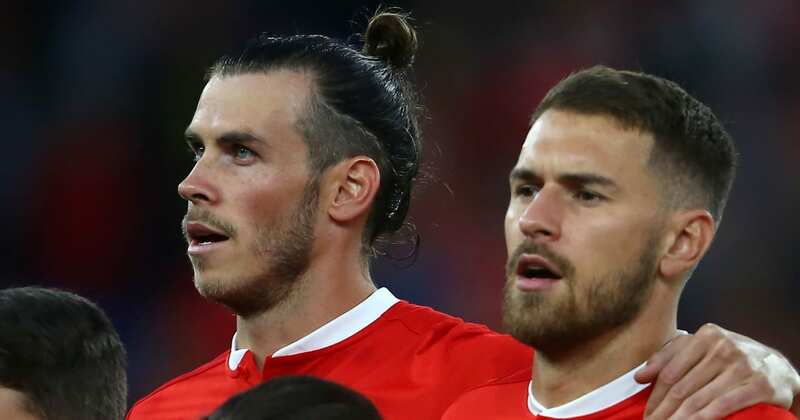 ?Wales forward Gareth Bale has insisted that his side can cope without Aaron Ramsey after the midfielder was withdrawn from the squad ahead ahead of their Euro 2020 qualifier on Sunday. Ryan Giggs’ side will take on Slovakia in a Group E clash in which victory could take them level on points with their opponents and closer to the top of the group, with Sunday’s clash the first outing in Wales’ qualifying campaign. However, Wales will have to overcome their first obstacle without one of their star names, as ?Ramsey has now returned to ?Arsenal for treatment on a thigh injury. ?Bale has been keen to stress that his side can cope without the midfielder. As quoted by ?ITV, the ?Real Madrid star said: “Obviously it’s a big blow for us. He’s a big player for us and we’ll obviously miss him. Bale has endured a difficult season with Real Madrid, having been jeered by Los Blancos fans following his side’s eliminations from the Champions League and the Copa del Rey, though he scored after being restored to the starting XI by returning boss Zinedine Zidane last weekend. Injury has also contributed to Bale’s stuttering season, though he has still scored 16 goals for his club this term, and the Welshman added: “I have only had one injury. I have been fine and playing. “I’ve scored a decent amount of goals and I am raring to go. I want to keep doing as much as I can to help the [Wales] team and so does every player.